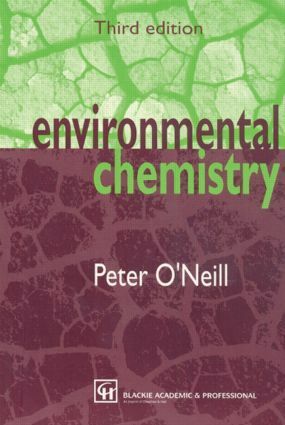 A complete introduction to environmental chemistry, this book provides insight into the operation of the chemical processes near the Earth's surface. The four-part format groups together related environmental topics and introduces theoretical concepts. Part One brings together many essential basic geological, geochemical, and chemical ideas, and emphasizes the importance of oxygen to the chemistry of reactions near the Earth's surface. Parts Two and Three discuss systems depending on these reaction types, and Part Four examines the effects of human activities on elements that usually cycle naturally in small quantities. Also in this part, the perturbation of natural cycles by agricultural, industrial, and social developments is highlighted in terms of the consequent problems of environmental management.